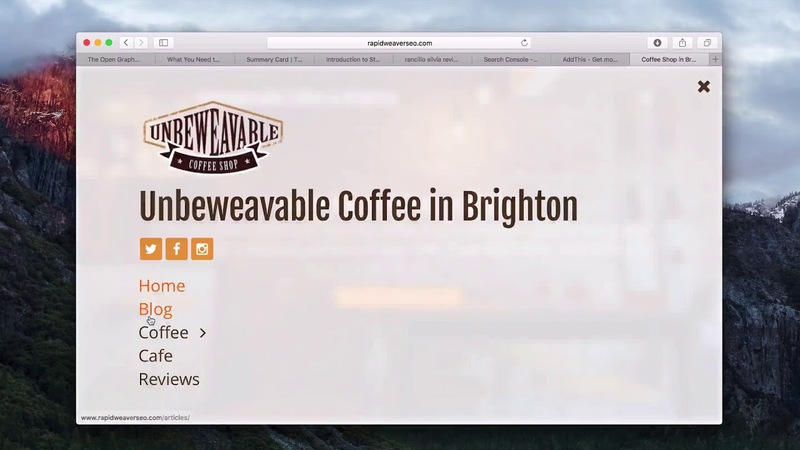 This video is available with a RapidWeaver Community subscription. Signup and get instant access to all our videos, priority support, discounts and more. 14 day free trail, cancel anytime. More info. When visitors share your site on social media you’ll want it to it to stand out from the crowd. This is where OpenGraph and Twitter Cards come in. You can add some special meta tags to provide additional data to social media sites, that will allow them to display your site in a rich way. In this lesson we’ll tie up a few loose ends before we move on to some more advances subjects such as HTTPS and caching. Sign up for exclusive discount and occasional updates. The RapidWeaver Community is the official resource for all things RapidWeaver, brought to you by Realmac Software.